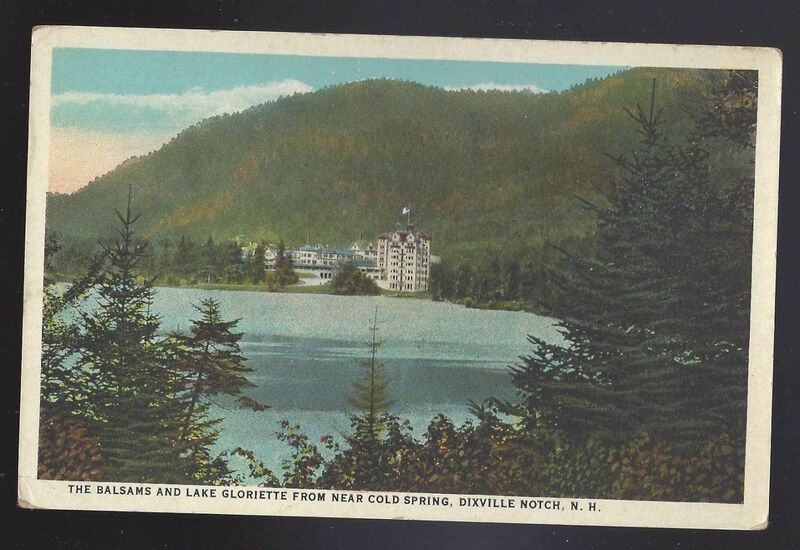 Vintage New Hampshire Postcard Title: The Balsams and Lake Gloriette from near Cold Spring - White Mts. N. H. Era/Style: White Border Artist/Photographer: Publisher: Atkinson News Co Naturekrom Printer: Postally used: No Postmark: Recipient: Condition: Very Good - Light tip wear Please study scans carefully for condition **************************************BR 88 312 F Powered by eBay Turbo Lister The free listing tool. List your items fast and easy and manage your active items.